Bratt Trading sell and promote accessories for hairdressers wholesalers. Our main office and warehouse is located in Tyresö in the southern Stockholm region and our most important market is the Nordic region. Since July 2006 Bratt Trading opened another office in Wien, Austria to establish a closer contact with the new EU-countries in east Europe. Bratt Trading represent several known brands such as Joewell scissors, Parlux hair dryers, Oster trimmers, Waco capes, Ga.Ma stylers etc. and we stock several hundred other products that are being used/sold regularly at your saloon. For a more detailed presentation of our products please click on the different category options to your left and specify a product. As a hairdresser or consumer you can easily find information about our products, brands and news and then ask you ordinary wholesaler to deliver the items you find interesting. As a wholesaler and customer to us you log on to our web shop to get access to prices and campaigns etc. 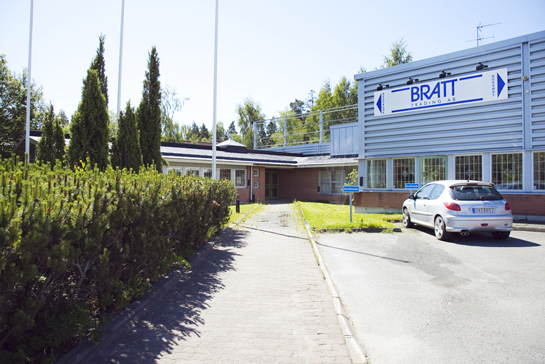 Welcome to Bratt Trading, the world’s leading brands of professional hair tools gathered under one roof!